All the great advantages of the Gear Keeper Retractor System which easily attaches to any D-ring. 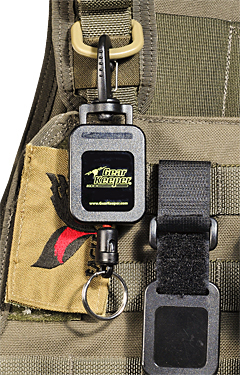 The prefect solution for tethering your gear in order to allow full gear use while preventing loss. Select appropriate force based on gear weight to retract and hold gear. 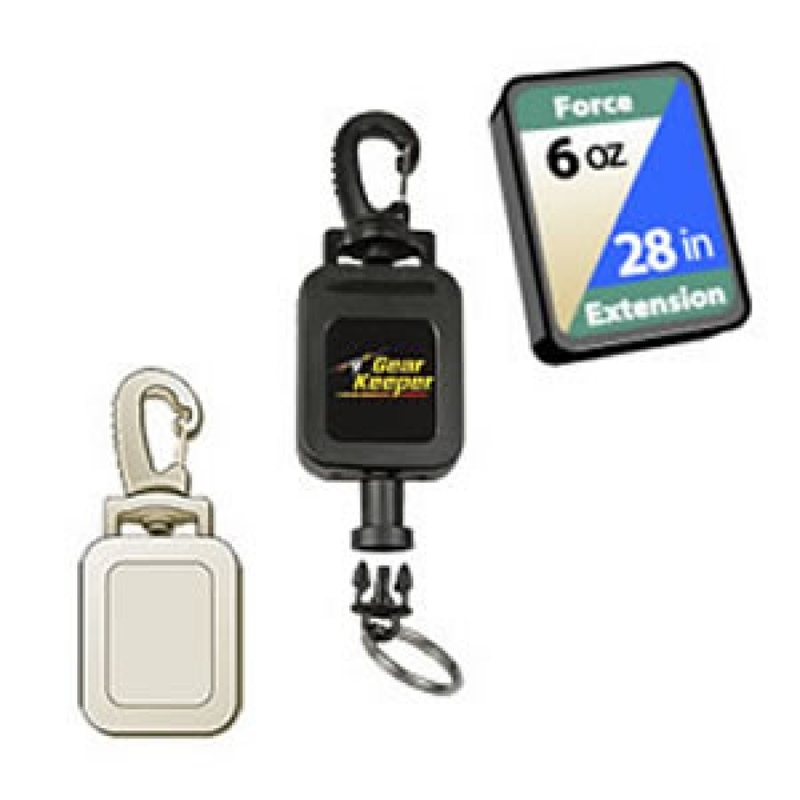 Note: Lower force models may be used as a safety tether for heavier items. In this case, Gear Keeper will only prevent loss but will not retract item. Ideal when high retraction force would hinder use of gear.